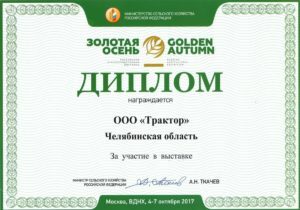 WINNERS OF THE RUSSIAN AGROINDUSTRIAL EXHIBITION “GOLDEN AUTUMN – 2017” RECEIVED AWARDS IN THE CELEBRATE SITUATION. The award ceremony took place in the Ministry of Agriculture of the Chelyabinsk region. The region once again confirmed its leadership status in the Russian agribusiness sector, winning 153 medals, 88 of which were gold and 40 silver. Last year, gold medals were 59 and 41 silver (total 121 medals). 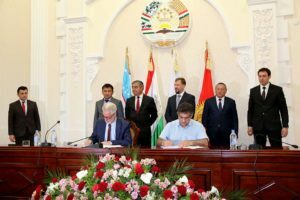 – We no longer need to chase the number of awards, – Minister of Agriculture Sergey Sushkov is sure. – We once again clearly demonstrated that the Chelyabinsk region today is on a par with other agrarian regions of the country, feeds the South Ural people with quality diverse products, and annually new investment projects in the agrosphere are being implemented in the region. 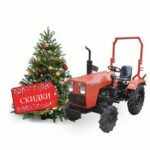 There are new high-tech high-tech industries both in agriculture and in the food industry. Only in the tasting contest enterprises of the Chelyabinsk region won 69 gold medals. LLC “Union” Souzpischeprom “awarded six gold medals for products, among which new items – vegetable milk, yoghurts, jelly. The competitive commission has especially noted not only taste, but also advantage of these products. By the way, vegetable milk (oatmeal, rice, almond, soybean) will be on sale in December. Also among the winners of the contest “For the production of high-quality food products” LLC “Sitno” (17 gold medals), “Ravis – poultry farm” Sosnovskaya “(15 gold medals), poultry farm” Chelyabinskaya “, agrofirma” Ariant “, agrocomplex” Churilovo “, GK Healthy Farm, LLC Sigma, Kolos LLC, Chebarkul Dairy Plant LLC and Chebarkul Fishery Plant, Tavria, Live Beer Laboratory, Niagara, Satka Bakery, Pure Vegetables. 153 THE MEDALS CONQUERED SOUTH URALS AGRARIES. 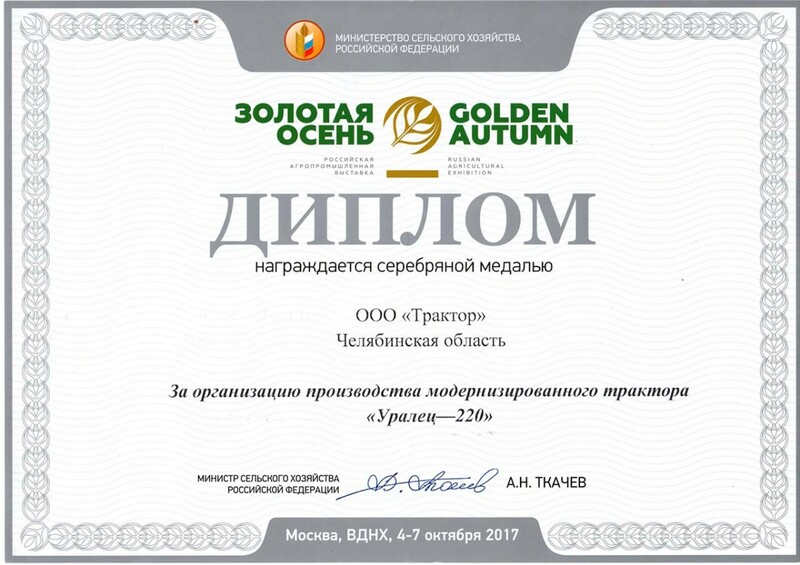 Four gold, nine silver and two bronze medals have been won by South Urals scientists for introducing innovations in agriculture (South Ural State Agrarian University, South Ural State University, NGO Gardens of Russia, Entsium Research Center, Coalginskoye Coal mine N. Shundeeva, LLC “Technical control systems”). 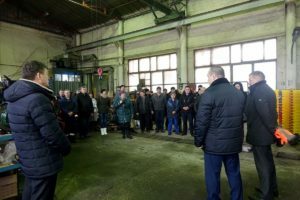 Two gold medals were won by Borovoe LLC and Kalininskaya Agrofirma LLC, which were presented at an exhibition of breeding bulls. For high results in the sphere of sustainable development of rural areas, two gold medals were won by the Sosnovsky District. 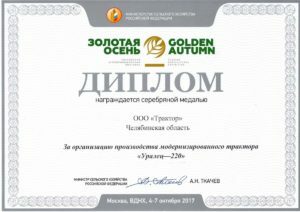 Silver medal of the exhibition “Golden Autumn – 2017” noted the activities of the regional Ministry of Agriculture in the development of small forms of management, in addition, a bronze medal was awarded to the management of the Gostehnadzor of the Ministry of Agriculture of the region for excellent performance. 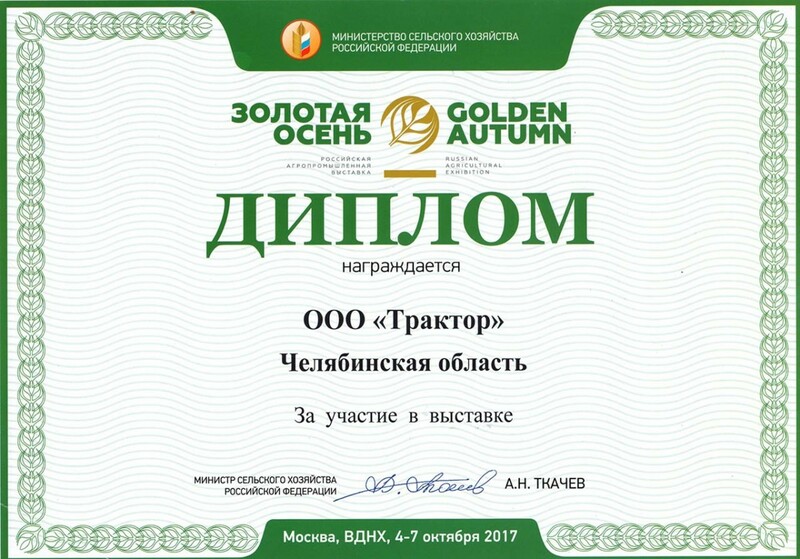 Yuzhnouralsk delegation and the highest award of the “Golden Autumn” brought the Grand Prix “For Contribution to the Development of the Exhibition” was awarded by the government of the Chelyabinsk region.